The Institute, founded in 1974, was named Liliya Karastoyanova Youth House of Culture and renamed to Nadezhda House of Culture in 1991. In 2001 under Resolution 53 of the Sofia Municipal Council it was reorganized and called Nadezhda Municipal Institute of Culture. It incorporated the Wind Orchestra of Sofia with chief conductor Dotso Vutkov and conductor Ivan Stoyanov (until 2006), the Sofia Soloists Chamber Ensemble conducted by Plamen Jurov (until 2007), the Sofia Jazz Band with leader Raicho Ivanov and Collegium Musicum – Bankya under the baton of ACAMS Emil Yanev. In 2003 the Collegium Musicum – Bankya was transformed into the Sofia Sinfonietta with conductor Svilen Simeonov. 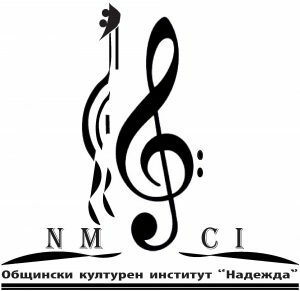 From 2004 to 2016 the Eolina Quartet was also among the orchestras with the Nadezhda MIC. Today the Sofia Sinfonnieta Orchestra, conducted by Svilen Simeonov, and the Sofia Jazz Band, with its leader Boicho Dechev, actively participate in the cultural life of the capital city, this country and around the world.